SAN FRANCISCO -- Apple says quarterly revenue fell for the first time in more than a decade, as iPhone sales fell compared with a year ago. That's putting more pressure on the world's most valuable public company to come up with its next big product. Apple sold more than 51.2 million iPhones in the first three months of 2016 - while racking up $10.5 billion in quarterly profit. That was more than many analysts expected, but still fewer than the 61 million iPhones sold a year earlier. Revenue was down 13 percent from the January-March quarter of 2015. And the company surprised analysts by forecasting another revenue drop of 13 percent or more in the current quarter. 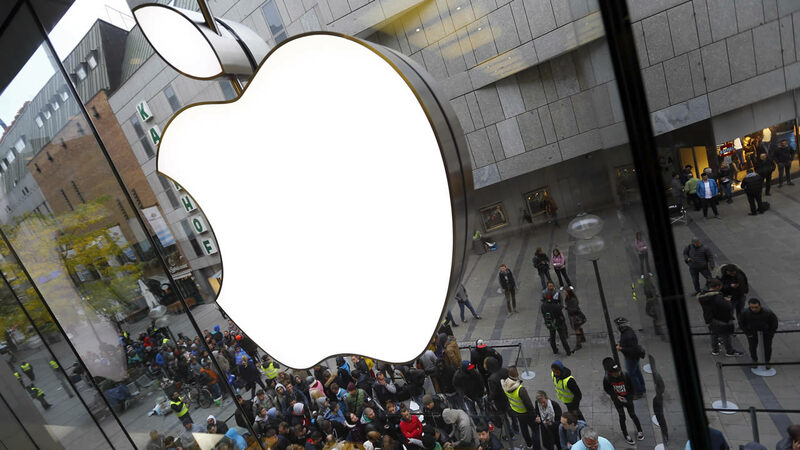 The forecast drove Apple's stock price down more than 5 percent in extended trading Tuesday, after closing at $104.35. But even as some owners say they're delighted with the Apple Watch, others have voiced disappointment that it doesn't do more. And critics say it hasn't ignited consumer passions, in the way the iPhone became a "must-have" product. "They need to come out with that next great product," Angelo Zino, a financial analyst with S&P Global Market Intelligence, said in an interview before Apple released its earnings report Thursday. While he's optimistic about the company's future, Zino added, "Apple absolutely needs to start diversifying their revenue base."